This webinar presents training and self-assessment techniques for interpreters to be better prepared and handle stress while interpreting. Attendees will learn about the physiological effects of stress and how to manage its effects on their memory, breathing and delivery. Techniques for establishing baseline metrics (how fast is too fast, how long is too long) will be shared. Exercises for measuring one’s progress as well as establishing stretch goals for memory and speed will be demonstrated. Sample scripts for managing flow before the discussion or conversation goes off track will be given. Tech tools and apps will be named so that interpreters can utilize them to create and track their improved performance over time. Skill drills that simulate added stress will be shared so that interpreters can develop the additional mechanical skills they need to improve their own skill set and do a better job on the job. This webinar is approved for 1 CE hour with CCHI, DSHS and .1 RID CEU, as well as for court interpreting CEUs in MI, KY, NC, NE, NM, TN, MO and WA. Cost: $30. 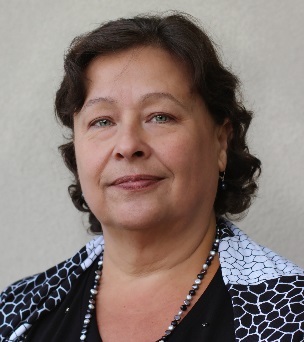 About the presenter: Eliana Lobo is a Portuguese court and healthcare interpreter, Spanish/Portuguese translation supervisor, medical trauma center interpreter services Supervisor and Certified Medical Interpreter Trainer. Eliana earned two M.A.s from Brown University: Bilingual Education, and Portuguese & Brazilian Studies. She’s a nationally certified CoreCHI-Portuguese, and a former Fulbright Grantee. Since 2013, via the NCIHC’s “Home for Trainers” webinar workgroup, she has helped create and host over 30 national webinars on effective medical interpreter training.